Firstly, I’m not a big fan of writing long essays (unless it’s for certain people). But today is a special day. It’s the 4th anniversary of the biggest fan club of the biggest superstar in the entire universe. No wonder why we named it SRK Universe. I’ve mixed feelings about this. On one hand I’m happy and proud about how far we have come and what all we have done in 4 years. It looks like we started just yesterday. On other hand I feel like we’ve existed since SRK’s career started. I like to think that we existed since SRK’s career started and I’ll tell you why. We are not a typical fan club that just provides you with latest news and pictures. We are much more than that. We want to promote SRK and his films in whatever way we can, be it by online trends, first day first show events, or anything else that we can do. By “we” I don’t mean me and my other team members. By “we” I mean all of us. Each and every SRKian. I have had people asking me “How do we join SRK Universe?” and I always respond with “If you’re an SRKian, you are automatically a part of SRK Universe”. So all I’m trying to say is SRK Universe is all of us. That’s the reason for me to think we have existed since SRK started his career because even his very first fans were a part of his Universe! But keeping that aside, many of you know SRK Universe as the biggest fan club of SRK which started 4 years ago so I’ll get into all that too. We established ourselves on social media 4 years ago and in no time we raced past every fan club of every star ever. We currently have over 445K followers on Twitter, 256K followers on Instagram, and 3 million likes on Facebook. But as I said earlier, we are not limited to social media. 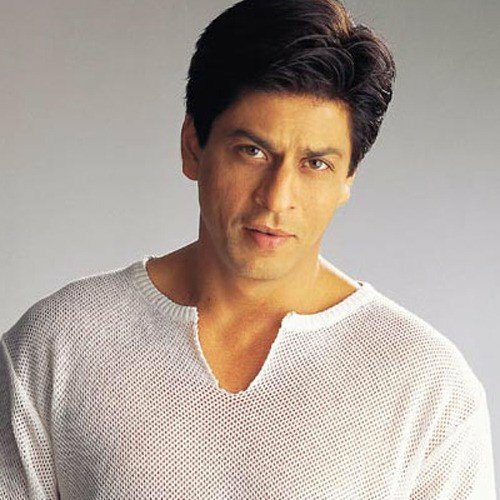 We have done various events for SRK’s films, Birthday, anniversary, and what not. We have people all over the world who are helping the ones in need in the name of SRK. None of this would be possible without the never-ending support of SRKians. I’m never shy of saying that we are absolutely nothing without the love and support of SRK & SRKians. I also want to talk about something which I usually don’t like talking about. It’s the fight among fan club members. I never understand this part. All of us are here only for one reason and that’s SRK. There should not be any competition among FCs of same star. I never sit and think “oh I need to do better than them”. I am happy with what I and my team do and I want others to do well too because in the end it’s all about SRK. Also, let me clear that being an admin of any FC doesn’t makes you better than the rest of the fans. All of us are one and the same. Some of us have more resources and knowledge so we use it to guide those who need it and those who don’t, they are on their own and it’s absolutely fine. I don’t like when I see fellow fans arguing with one another about which FC is better and saying negative stuff about one another. If you like one more than the other, it’s okay but you don’t need to put the other one down and thrash it. There are millions of us and there’s no way to manage all still if any person “belonging” to any fan club has a problem, they can just text me or call me. I’m happy to talk to them and sort it out. Sitting and abusing one another on social media won’t do any good to anyone. Damn. I’ve wrote a lot already but I’m trying to cover as many points as I can. Anyway, coming back to SRK, I can’t thank that man enough for loving and supporting us so much. From all his replies on social media to all the videos that he recorded for all of us, it means so so so much. I’ve never seen any star showing so much love to their fans. No wonder why he’s the king. To my SRKians, please continue to love and support us. You all motivate us to do stuff we would have never imagined 4 years ago. Like in 2015 we had a huge party in a 5-star hotel just for fans. In 2016 we had our very first actual fandom awards in Mumbai. All of this is something which I would have only dreamed of happening. But it’s a reality. It’s our reality. We all managed to do this. It’s not easy for fans to do it but we did. The aim is to build on this and do bigger and better stuff. We are trying hard to have another fandom awards later this year and make it better than the previous one. I’m not sure if we will succeed but I promise you all that we will try till the last minute to pull this off. We have some other plans too but we will reveal all that at the right time. If any of you have read whatever I wrote till now then you seriously have a lot of free time. Actually .. nah! When it’s about SRK, I guess we all have enough time.